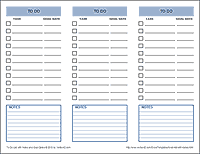 Download a simple to do list for Excel or PDF. Prioritizing a list of to-dos often requires you to know when the tasks need to be completed, especially if they are all things that need to get done eventually. So, when you create a to-do list, you may want to include a goal date next to the tasks that have deadlines. If you are using a task list at work, you likely already have specific deadlines, but if you don't, one of the ways to help get things done is to pick goal dates of your own. 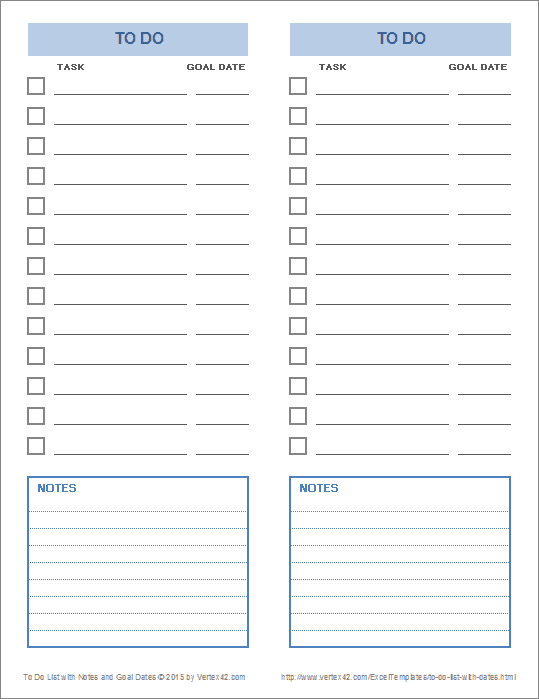 The two PDF files below allow you to quickly print a 2-column or 3-column to do list with a column for goal dates as well as a notes section. If you would like to customize your list, you can download the template for Excel below. 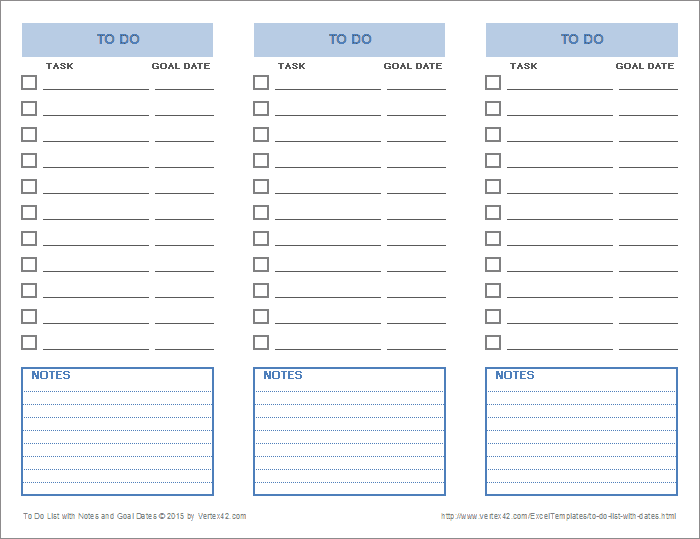 This to do list template includes a Goal Date column that allows you to keep track of when you'd like to complete the task or what deadline is required for the task. There is also a space at the bottom to write down any notes that would be important to include with your list. The Excel file includes two worksheets, one with a 2-column portrait layout, the second with a 3-column landscape layout. You can either fold them or cut out the individual lists.